I had the amazing and unique opportunity to be a bad guy role player for a Hex Tactical Resources class. 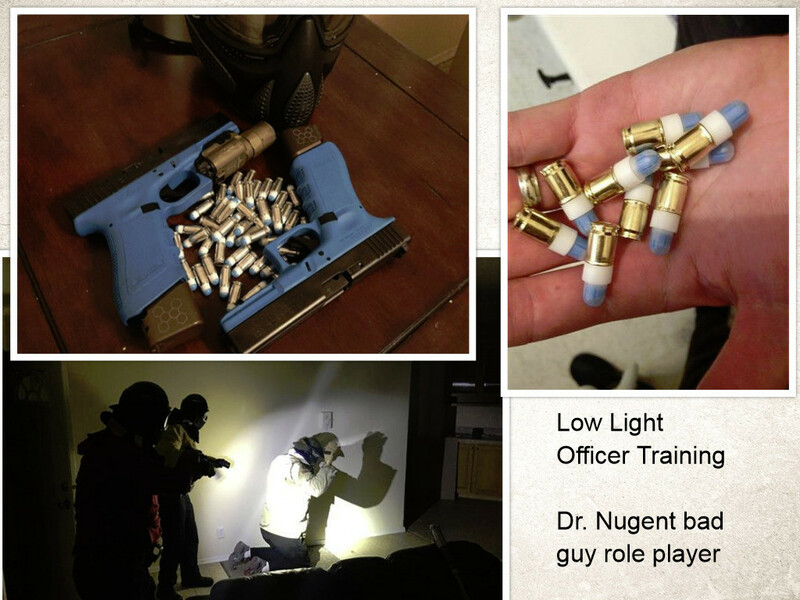 The class was “Low Light Building Clearing Force-on-Force” that was for Law Enforcement only. The class was for the officers and I was merely an actor. However, it was tons of fun! We were using simunitions. Think paint balls but on steroids! I applaud the officers for taking the time out of their life’s to train. Officers and dentists both have to have a minimum of training / continuing education hours per year. 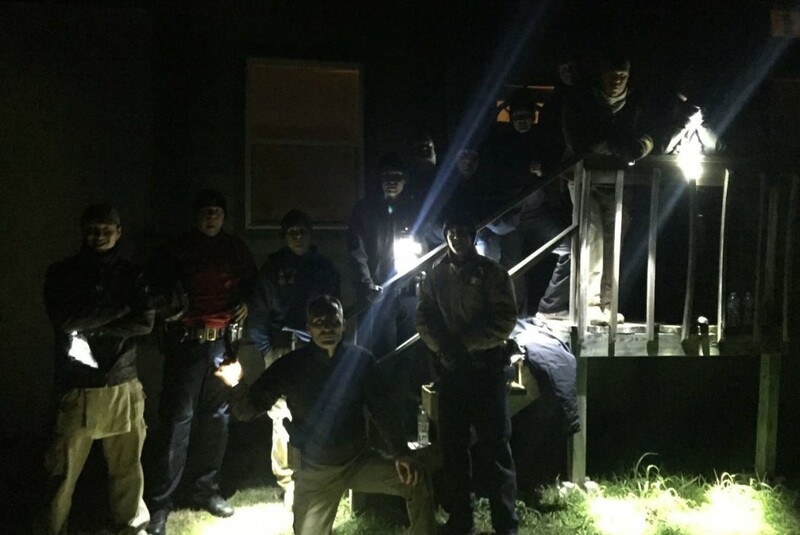 The state mandate of hours is low, so again kudos to these officers that took it upon themselves to get better! The first couple of scenarios were simple but latter scenarios ramped up the intensity. The last scenario of the night was a simulated warrant search with one bad buy that was hiding to ambush the officers. The first bad guy was easily found if the officers used good room clearing tactics. I was the second bad guy. I ran away from the officers down a hallway when they entered the house. I was to let them see me and then disappear. This last scenario I was to let loose and engage with my sims gun. The officers called for back up and there was four officers trying to get me. This last scenario was intense! I was popping out of a room and taking shots. There was very minimal physical activity but yet my heart rate was about 165 BPM. It was a very unnerving experience to have my heart trying to jump out of my chest. I am in the middle of reading “On Combat: The Psychology and Physiology of Deadly Conflict in War and in Peace” by Dr. Grossman. From the book, I recognized what was happening and I started to take long slow breaths to lower my heart rate. Eventually the officers were able to neutralize me. Fun night being a role player. 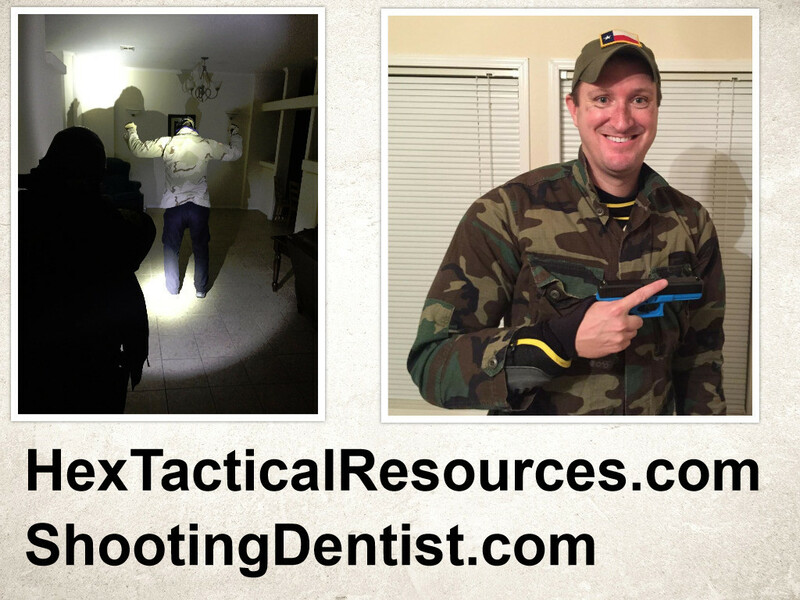 I appreciate Hex Tactical asking me to drive up from Houston to participate in the Law Enforcement Only class. Great bunch of officers and I pray for their safety as they hold and maintain the Thin Blue Line.